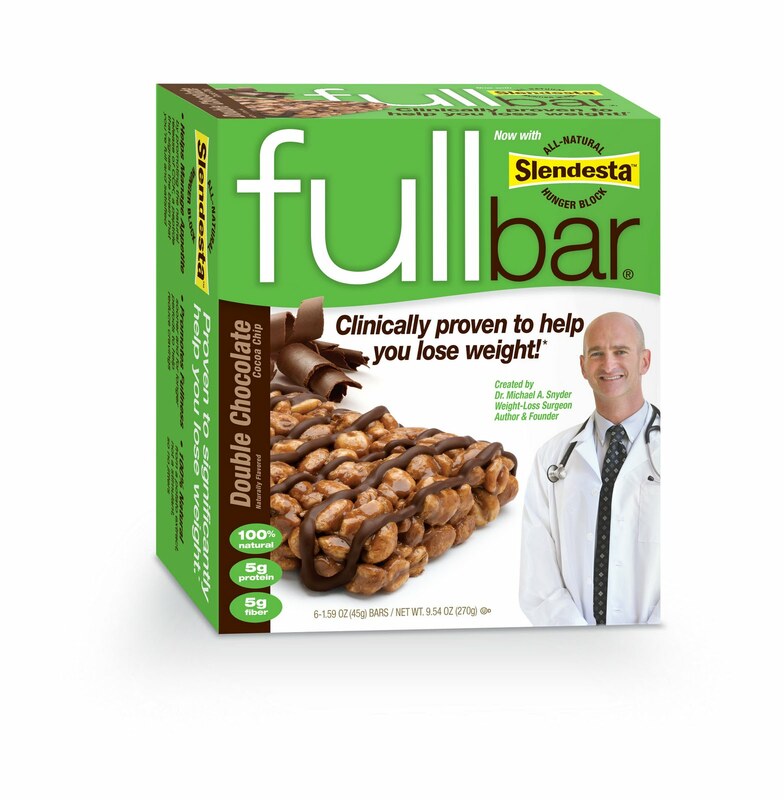 Fullbar the popular weight loss bars, created by bariatric surgeon Dr. Michael Snyder has introduced a new and improved product line featuring better taste along with Slendesta a clinically-proven fullness ingredient. How Does Fullbar with all-natural Sledesta work? These new weight loss bars keep you full in two different ways. A lot like bariatric surgery, Fullbar works with your body to stimulate your nervous system and your hormones so that you feel full and you eat less. After eating a Fullbar the upper part of your stomach gets stretched out and tells your brain that you are full. All natural Slendesta is designed to promote the release of cholecystokinin (CCK) in your digestive track to make you fuller, longer. A lot of dieters quit their diets prematurely because they are hungry still after a meal. The new and improved Fullbars prevent this from happening. 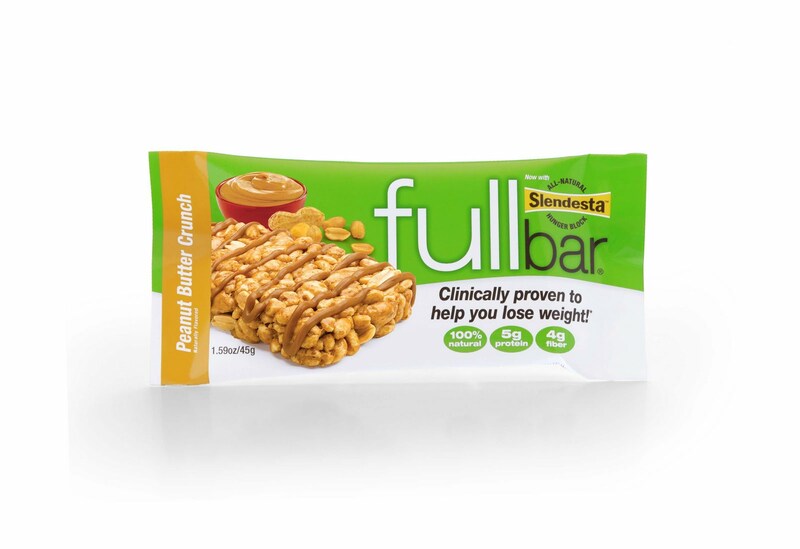 I had the opportunity to try these delicious new and improved Fullbars myself and I was impressed with the results. Even though I am more interested in maintaining my weight instead of losing weight eating the right amount of calories and curbing sweet cravings are very important to me. I like to snack throughout the day and eat small meals. This helps me keep my metabolism in check. But when it is snack time sometimes I crave something sweet. Chocolate is my biggest temptation. I know it isn’t very good for me, but if I have something chocolate in the house I tend to gravitate toward it. Eating a delicious double chocolate Fullbar meats this craving without the guilt. After eating a Fullbar along with a glass of water I noticed that I no longer craved anything sweet and was not hungry again for another three to four hours. Fullbars are made with brown rice and soy protein. They also contain 5g of fiber and only 4g of fat so I know I am getting a healthy snack with a Fullbar. The new and improved Fullbars come in five delicious flavors: Double Chocolate Cocoa Chip, Peanut Butter Crunch, Chocolate Caramel, Cranberry Almond and Chocolate Peanut Butter. If you are trying to lose weight or just need something to help you maintain your weight and curb your cravings, eating two Fullbars per day along with a glass of water will help you with your goals. The newly-formulated line of Fullbar’s will be available to consumers nationwide in January 2012. For more information on Fullbar please visit fullbar.com. You can also follow Fullbar on Twitter and Facebook. *Disclosure: I received a box of Chocolate Peanut Butter Fullbars with Slendesta and a box of Double Chocolate Cocoa Chip Fullbars with Slendesta in exchange for this review. All opinions are accurate and 100% mine.